The Pope’s Talking, Let’s Hope Somebody is Listening! 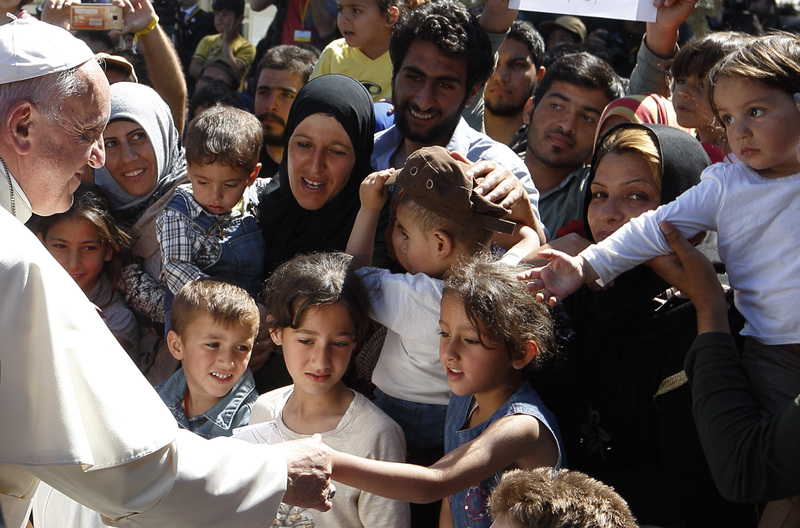 Pope Francis meets refugees at the Moria refugee camp on the island of Lesbos, Greece, April 16, 2016. (CNS photo/Paul Haring) April 16, 2016. New Orleans Pope Francis isn’t perfect. None of them are. All the same, it’s hard not to root for the guy, give him an attaboy and hope he pushes the Catholic Church and its parishioners to demand more social justice and social change. The Pope issued something called an apostolic exhortation which is several degrees lower than an encyclical and doesn’t claim infallibility but is a guidance and, in this case, both a call to action and a word of caution, particularly to conservatives in the church. The key takeaway was the Pope’s statement that the “defense of the innocent unborn needs to be clear, firm and passionate,” but “equally sacred, however are the lives of the poor, those already born,” along with the elderly and other victims whether of human trafficking or displaced migrants. 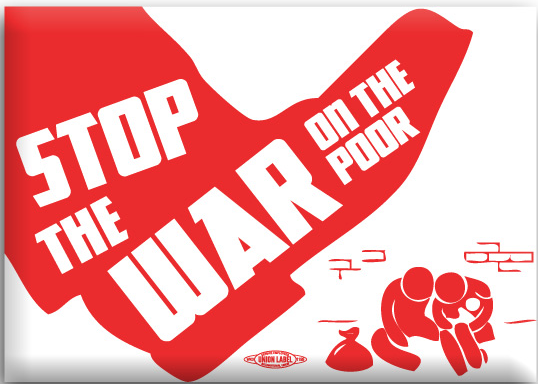 Not surprisingly, the Pope is not signing up for membership in Planned Parenthood, but he is saying that the one-hundred percenters on this issue need to step up on the issues of poverty and the demand for more equality and equity as an expression of their faith. He argued that an all-consuming attention to abortion is “a harmful ideological error,” especially when it deflates and devalues fights for social change or claims that the struggles for change are “superficial, worldly, materialistic, communist or populist.” Big amen to that point! Hitting home, the Pope stated clearly that there is no claim to good living and holiness “that would ignore injustice.” He was clear that he was talking about progress in dealing with economic inequality in his exhortation. Give him another big amen there! Furthermore, the Pope argued against false equivalencies. He lashed out at church members that would claim dealing with poverty or the desperation of migrants was somehow a secondary or lesser issue compared to what he called “bioethical questions,” meaning abortion and right-to-life issues. In a gut punch he referred to such comparisons as something a politician might say, “but not a Christian,” which has to rank in the religious community as a beatdown. So, the Pope isn’t perfect, God knows. Critics are clear that his work has not matched his statements about sexual abuse by clericals within the church for example. Nonetheless, we have to embrace him as a fellow traveler when it comes to the fight for justice and equality for all people. His voice has power and range there. We need to hope it’s heard and heeded. We need all the help we can get.